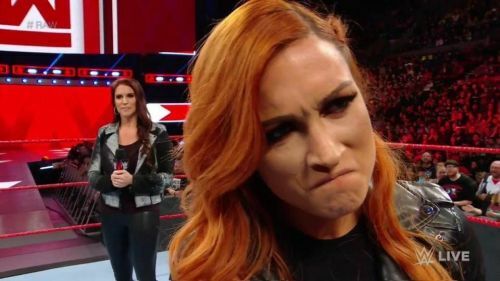 What if Becky Lynch can't compete at WrestleMania 35? Will Becky Lynch be cleared to compete at WrestleMania 35? Believe it or not, that is the question the WWE Universe seems to be asking themselves after Lynch was suspended for not seeing a doctor and while this could just be the company's way to build up the match, it seems like a weird way to go about it. Beyond that, it seems like the company isn't clear on whether Lynch can actually compete or not. In fact, between Lynch barely being able to lock in the Dis-Arm-Her before collapsing to her feet, to the way she walked to and from the ring, this could all be a way for the company to write her out of the blockbuster match-up at WrestleMania 35. If true, it presents two pressing questions that need to be answered. The first is what this will mean for the rest of Lynch's career, especially with her getting injured during two white-hot runs at the top of the card and the second is who will be taking her place in the match against Ronda Rousey Interestingly enough, WWE has a lot of options to replace Lynch and some might even be better than the original dream match. Here are four such options! 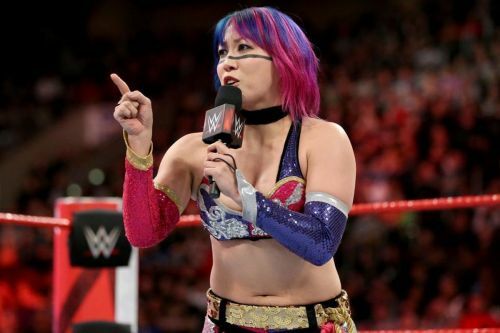 Would Ronda Rousey be ready for Asuka? Watching Ronda Rousey and Asuka do battle for The Raw Women's title would be a once in a lifetime type of matchup and might even exceed the expectations set forth by Lynch versus Rousey. Furthermore, the match would be a brilliant mix of Rousey's hard-hitting offense and Asuka's aerial assault, which would be interesting to see. As if that wasn't enough reason to give this match a chacne, it also would be a great first loss for Rousey and really redeem Asuka's loss at last year's WrestleMania. If nothing else, the loss Asuka took last year from Charlotte was a travesty of justice and really killed Asuka's mystique, which is why she deserves a chance to gain it back!